Although there is little case law on medical cannabis use in the Canadian workplace, there are a few cases that can guide both employees and employers on this topic. Last week, we looked at the case of a man who was fired for using marijuana to relieve back pain and migraine headaches. Today we will examine the case of French vs. Selkin Logging. In 2014, John French was an equipment operator for Selkin Logging in northern British Columbia and used cannabis to treat pain from cancer. He had spoken with his doctor about cannabis as a treatment but did not have a valid medical cannabis prescription. French was caught smoking cannabis at work and Selkin Logging enacted their zero tolerance drug policy requiring he stop consuming cannabis in the workplace. French was subsequently terminated for breach of this policy. 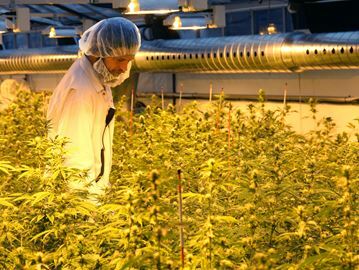 Although the Tribunal found that the drug policy was enacted in good faith, they also stated that French’s termination was discriminatory because he was fired for using cannabis to alleviate the pain of a disability. In the end, the termination was upheld because French did not hold a valid medical cannabis prescription. In the absence of a medical marijuana prescription, French was using cannabis illegally. He had talked with his doctor about using it to treat the symptoms of his cancer, but the doctor had not prescribed it or condoned its use at work. Human Rights legislation does not extend to requiring an employer to accommodate illegal drug use. Employers that have a zero tolerance drug policy that does not address accommodation for medical cannabis may breach human rights legislation. Employees must have a valid cannabis prescription to be protected by Human Rights legislation. Employers are not required to accommodate illegal cannabis use.